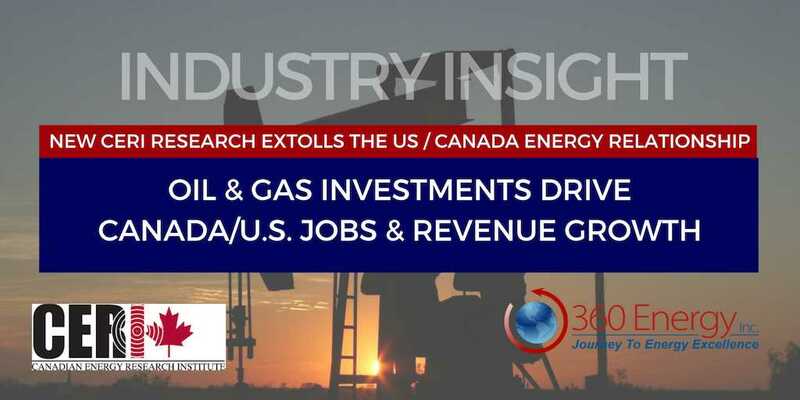 Canadian oil and gas projects are projected to generate not only Canadian employment growth, but over 400,000 jobs in the United States as well. The study, recently completed by the Canadian Energy Research Institute (CERI) estimates that capital investments from 2017 – 2027 will be $380B (CAD). These investments will contribute $45.6B (US) in American economic growth. The report, titled “The Economic Impacts of Canadian Oil and Gas Supply in Canada and the US (2017-2027)” concludes that, “The United States benefits from not only importing and refining petroleum products from western Canada, but also from supplying products and services used by the Canadian oil and gas industry”. The top 5 states that experience the most jobs created or sustained from Canadian oil and gas development are Texas, California, Illinois, Oklahoma and Ohio. Both Canada and the United States share an integrated economic system that generates significant economic activity in both countries. In 2016, Canadian exports to the United States were $392B while imports from the United States reached $360B. A full copy of the report can be downloaded from the CERI website.